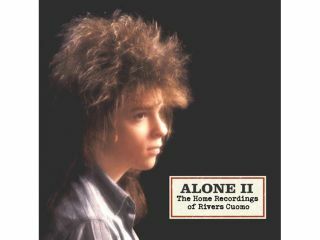 Rivers Cuomo has announced details of a one-off show to promote his latest solo album, Alone II: The Home Recordings Of Rivers Cuomo. Sold out already, a lucky handful of fans will get to perform with the Weezer mainman at the show, and even have a say over which songs get played. "I am doing a really cool event to promote Alone II on the day of release. Anyone can be a part of it, you don't have to bring an instrument. But if you do bring an instrument, you will be part of the team that gets to pick the songs we play. "It can be any song, in some cases, it might just be one person who says, like, Oh! Let's play this obscure B-side!, and he may be the only person in the room who knows it, besides me, and then it will just be me and that person giving a concert to the rest of the room. "And then the next song, there might be 20 people who know it. So that will be a very dynamic event and very fun for me. And I won't have to bring a guitar." Cuomo will have a laptop at the ready in case he has to look up the lyrics to a song that he's asked to cover. Of course, this isn't the first time that Cuomo has interacted with fans, jamming with them on Weezer's Hootenanny tour and even enlisting their help when it comes to songwriting.